Another revelation of the past, it has been a tradition for us since our arrival to Canada to indulge on every father’s day in this amazing masterpiece. Use small lobsters, the tail will give you the most meat. Most stores steam the fresh lobsters and sell it to you. You can add scallop and meaty white fish and fresh crab to make this into a seafood bake. Find crab shells to serve it in. Grill it to make it au gratin it looks great and you can have portions shared to each one. You can buy au gratin dishes, or even try and save the lobster shells, tough if you are removing the meat yourself. Count on one small lobster per person as a main course. Interesting trivia. "Thermidor" is the name of the 11th month of the French Republican calendar. Stemming from the words thermal meaning heat (it hardly relates to lobsters or the weather!) But like with other fame there is always a good story attached. In the 1890's A play was named Thermidor, relating to the history of that moment in time performing at the Comedy Theater in Paris. To honour the opening night Marie's, a restaurant of great repute and located next door to the theater, created this culinary masterpiece. It continues to be prepared for just special occasions since - thanks to the work involved! 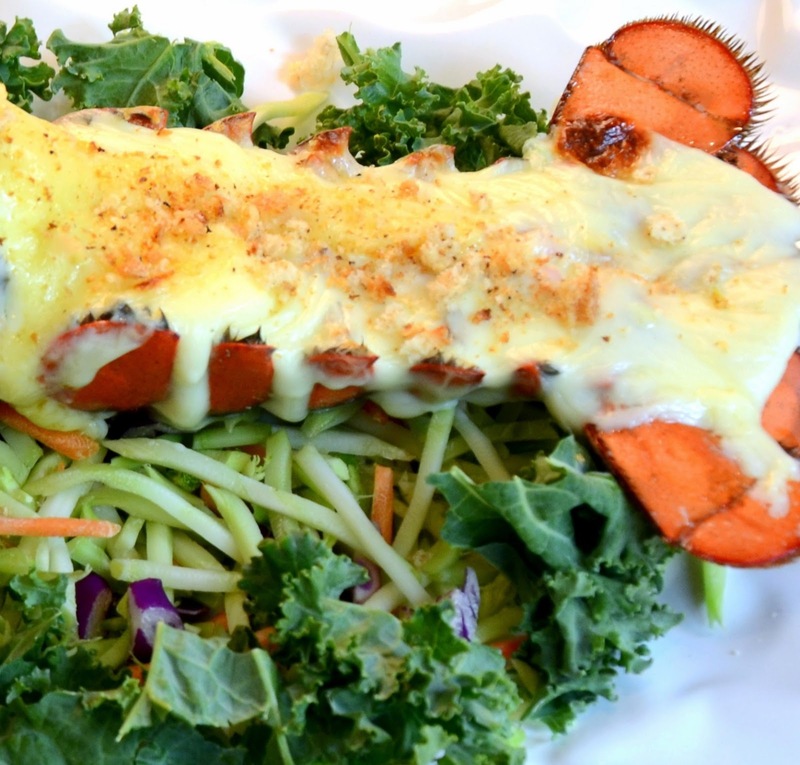 Lobster Thermidor served in a tail au gratin. Remove lobster, cut it into chunky pieces and season with salt and peppercorns, and squeeze fresh lemon or lime over it. In a large pot make the bechamel sauce. Keep stirring with a whisk to keep it smooth and bring it to a boil till thickens. Seasoning; salt and mixed peppercorns freshly cracked. When ready to serve pour into 4 gratin dishes, sprinkle a mix of grated cheese, bread crumbs and butter on top and grill under a broiler till bubbly and golden. Serve warm. Add a few tablespoons of cream to make it richer. If using mustard powder instead of made mustard use just 1/2 tsp and not the whole. Use a favourite strong cheddar if you cannot find Gruyere. Add 2 tbsps of dry sherry or rum to your bechamel if you enjoy liquor in your food; originally cognac was added to this French dish! 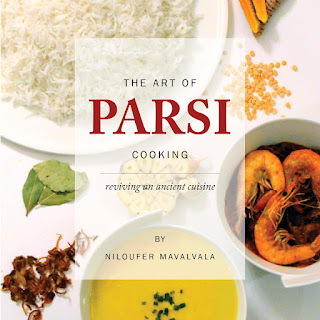 My published book The Art of Parsi Cooking; reviving an ancient cuisine is available now.